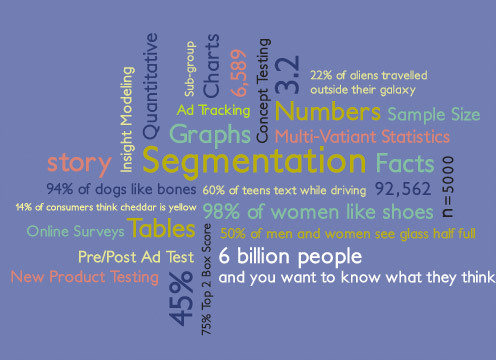 Quantitative research is more than facts and figures and crunching a bunch of numbers. It's recognizing patterns and building stories - real stories about real people. People who make decisions about brands - your brands. The better you know their stories, the stronger the story you can tell them. From concept and product testing to advanced segmentation studies and insight modeling, we believe one simple principle applies - finding the story starts with asking the right questions. Let us help you find your story.